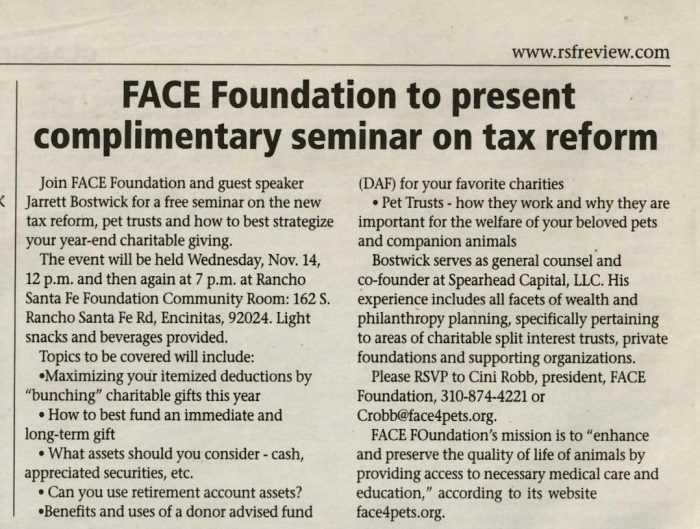 FACE’s first-ever Tax Seminar was featured in the Rancho Santa Fe Review this November! View the article below. For more information about tax planning, check out our Fellowship Society page here.